Based out of Savannah, Georgia, ListenClear, a hearing aid company that sells its hearing aids directly to the consumer, allows them to cut out the middleman by using their online sales platform, helping drop the costs in comparison to other hearing aid companies. 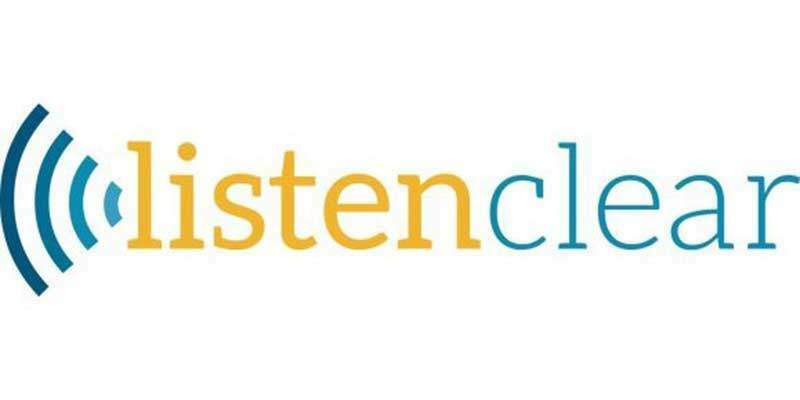 Founded in 2011, ListenClear offers multiple benefits, such as a 45-day risk-free trial, patented high-definition technology hearing aids, telephone customer support, payment plans and warranties, to name a few. How much do ListenClear hearing aids cost? In order to see the costs of the ListenClear hearing aids, the company does display the prices on their official website, but in order to view them, you will have to first click on the hearing aid you want to purchase and add it to the cart to see the up-to-date prices. The costs, from what we researched, will depend on the type of hearing aid you want to buy and the number of hearing aids you need. The company also allows you to fill out a short form to see if you do qualify for the free 45-day hearing aid trial. Discount offer — Do note, however, that the company, as per its payment options page, states you can receive a discounted price if you choose the one-time payment option, but if you cannot pay by card, then you can either pay by check or sign up for the company’s EasyPay payment plan, which will spread your payments out 24 months. Most medical insurance companies, including Medicare and Medicaid, will not cover hearing aids, with the exception of some plans that only offer limited coverage. In some cases, some states do require insurance companies to reimburse you for children hearing aids, though. To be certain, check with your insurance company as some companies may offer a limited amount for approved purchases only, while other companies will flat out deny the claim. As there are hundreds of policies on the market, it’s hard to offer a definite answer. Original warranty – All sound processors and the receiver units will come with a one-year warranty from the date of purchase, which will cover any defects in the materials and the workmanship; however, any physical and/or water damage will not be covered. Universal warranty – For an additional $5 per month, per unit, the company will cover any damaged or lost sound processor as long as you pay the $75 deductible, which applies to each claim. From what we could gather, the company does offer a 45-day trial on any new purchase, but you will have to still have to pay for your hearing aid upon ordering; however, you will not be billed until the 45 days expires, allowing you to try them out to see if they suit your lifestyle and/or you’re happy with the results. Experts recommend you always try hearing aids in multiple scenarios, ranging from loud areas to the quiet areas inside of your home to make sure they work as advertised. If you do, by chance, feel the hearing aids are not living up to their promise, the company does recommend you try them for at least 21 days before considering a return to allow your ears to adjust, similar to that of a pair of glasses. To return your hearing aids without being charged and within the free trial offer, you will need to call customer service to request a refund in order for them to send you a return shipping label in order for you to return the hearing aids back for a full refund. Considered to be the most popular option, according to the company, the Elite hearing aid is designed for those with a mild to severe hearing loss. This hearing aid option is equipped with automatic features, multiple programs and a remote to help you adjust the hearing aid without removing the hearing aid out of your ear. Color options, at the time of this publishing, included beige, brown and silver and uses a size 312 (brown tab) battery. The Pro hearing aid, considered to be the high-quality digital hearing aid, will adjust the user’s environment. With this hearing aid, the company states you can go from a crowded area to a quiet place inside of your home, all without the need to adjust the hearing aid as this model will do it for you. Like the Elite model, it sits directly behind your ear and comes in a beige, brown and silver color option. The company, at the time of this writing, has a D rating with the BBB and is not considered to be accredited. While we do not believe in BBB reviews as they can be flawed, we included it for the purposes of showing you what people complained about. For the most part, consumers seemed to complain about the issues with the hearing aid not working, the constant calling and the return policy, with some saying it was hard to get ahold of customer service in some circumstances. Via PissedConsumer.com, more than 100 reviewers complained about the same thing, ranging from the device breaking down a year after purchase to the company’s billing practices.